Lindacre Automotive are an approved Land Rover service centre based in Ipswich. Lindacre are well established within the Ipswich area and come with a great reputation for excellent service, advice and experience on vehicles and vehicle maintenance. 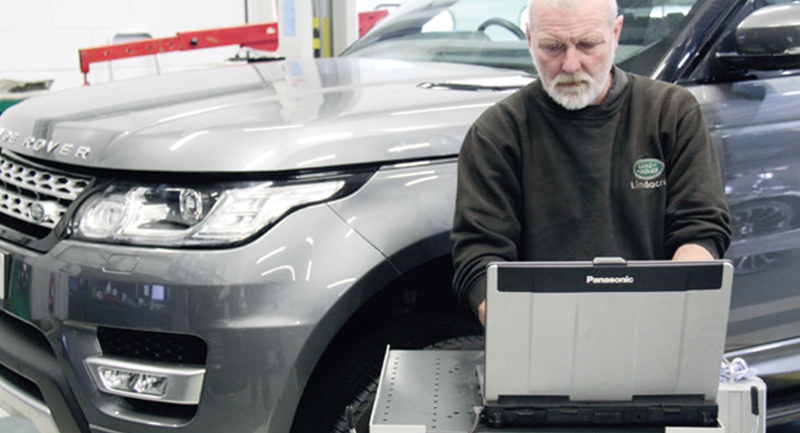 With the latest technology and equipment, Lindacre are Ipswich’s most experienced and trusted name in Land Rover servicing. Synonymous with Land Rover since 1994, Lindacre have received fantastic support from customers all over the region. Lindacre are delighted to be a fully authorised Land Rover Service Centre which brings many additional benefits to their customers. At Lindacre Land Rover Service Centre you can have a full Land Rover manufacturer service which maintains your vehicles full manufacturer service history. Official Land Rover service stamps in the service record book, this is irrespective of which Land Rover dealer you bought your Land Rover from, or the Land Rover dealer which last serviced your Land Rover. Lindacre Land Rover Service Centre has the same rights, privileges and responsibilities as a Land Rover main dealership. Lindacre carry out all warranty work on behalf of Land Rover UK, VIP pack work, check for outstanding recalls and carry out your recall work. Lindacre also offer the full range of genuine parts directly from Land Rover UK. All Lindacre’s expert technicians are regularly trained in the latest techniques and diagnostic equipment and are committed to providing a friendly, straightforward and honest service. Lindacre are proud to offer a first-class customer service and very competitive pricing. Lindacre’s friendly staff will go the extra mile to guarantee that you receive the advice you need. This is just one of the reasons why many of their customers have been using Lindacre for many years. Lindacre Automotive also offer a flexible pre-arranged service appointment system, Land Rover service action updates, MOT testing, accessory fitting and competitive tyre prices and much more. Lindacre aim’s to work with their customers to help them achieve their desired outcome and enjoy their experience with Lindacre Land Rover Service Centre.